Boulogne-Billancourt ([bulɔɲ bijɑ̃kuʁ]; often colloquially called simply Boulogne) is a commune in the western suburbs of Paris, France. It is located 8.2 km (5.1 mi) from the centre of Paris. Boulogne-Billancourt is a subprefecture of the Hauts-de-Seine department and the seat of the Arrondissement of Boulogne-Billancourt. With an average household income in 2013 of €47,592, nearly twice the French average of €25,548, Boulogne-Billancourt is one of the wealthiest cities in France. 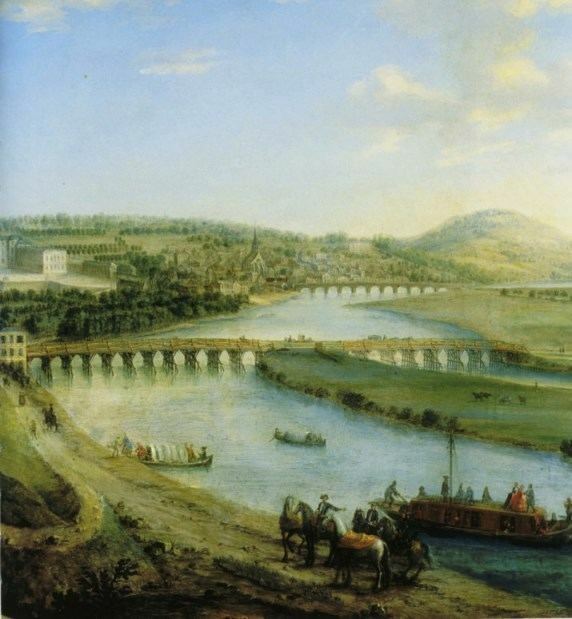 The original name of the commune was Boulogne-sur-Seine (meaning "Boulogne upon Seine"). Before the 14th century, Boulogne was a small village called Menuls-lès-Saint-Cloud (meaning "Menuls near Saint-Cloud"). In the beginning of the 14th century, King Philip IV of France ordered the building in Menuls-lès-Saint-Cloud of a church dedicated to the virgin of the sanctuary of Boulogne-sur-Mer, then a famous pilgrimage center in northern France. 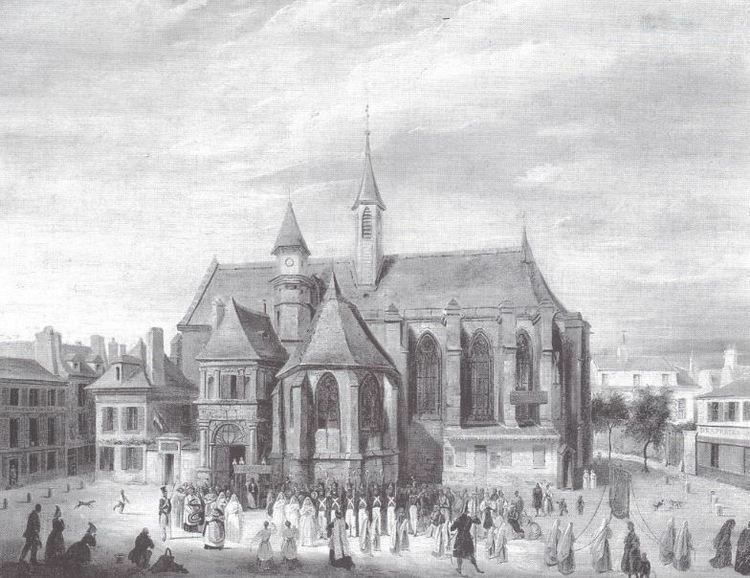 The church, meant to become a pilgrimage centre closer to Paris than the distant city of Boulogne-sur-Mer, was named Notre-Dame de Boulogne la Petite ("Our Lady of Boulogne the Minor"). 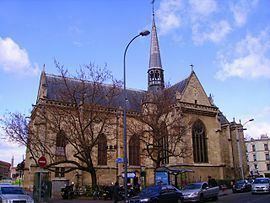 Gradually, the village of Menuls-lès-Saint-Cloud became known as Boulogne-la-Petite, and later as Boulogne-sur-Seine. In 1924, Boulogne-sur-Seine was officially renamed Boulogne-Billancourt to reflect the development of the industrial neighbourhood of Billancourt annexed in 1860 (see history section below). As for the name Billancourt, it was recorded for the first time in 1150 as Bullencort, sometimes also spelled Bollencort. It comes from Medieval Latin cortem, accusative of cors, meaning "enclosure", "estate", suffixed to the Germanic patronym Buolo (meaning "friend, brother, kinsman"), thus having the meaning of "estate of Buolo". On 1 January 1860, the city of Paris was enlarged by annexing neighbouring communes. On that occasion, the communes of Auteuil and Passy were disbanded and divided between Boulogne-Billancourt (then called Boulogne-sur-Seine) and the city of Paris. Boulogne-sur-Seine received a small part of the territory of Passy, and about half of the territory of Auteuil (including the area of Billancourt, which belonged to the disbanded commune of Auteuil). Some of the shooting events of the 1900 Summer Olympics took place in Boulogne-Billancourt. In 1929, the Bois de Boulogne, which was hitherto divided between the communes of Boulogne-Billancourt and Neuilly-sur-Seine, was annexed in its entirety by the city of Paris. On that occasion, Boulogne-Billancourt, to which most of the Bois de Boulogne belonged, lost about half of its territory. Boulogne-Billancourt is famous for being the birthplace of three major French industries: cinema, automobile with Renault at Île Seguin, and aircraft. It is also famous for being the setting of the TV show Code Lyoko. The ecologic neighborhood of the Trapèze in Boulogne-Billancourt: the district stands on 74ha and will be able to contain up to 18000 inhabitants at the end of its construction. 65% of the district's energy is brought by geothermal power, which heats and freshens the buildings. Solar panels and a vegetable greenhouse were installed in the aim to link the district to sustainable energies.Bicycle and “soft” travels will of course be put first to reduce the pollution caused by cars, and others vehicules which do not run on electricity. With the city of Sèvres, Boulogne-Billancourt is part of the communauté d'agglomération Val de Seine. Boulogne-Billancourt is served by two stations on Paris Métro Line 10: Boulogne – Jean Jaurès and Boulogne – Pont de Saint-Cloud. It is also served by three stations on Paris Métro Line 9: Marcel Sembat, Billancourt, and Pont de Sèvres. Prior to 2000 Schneider Electric's head office was in Boulogne-Billancourt. The Musée Albert-Kahn at 14, rue du Port, Boulogne-Billancourt is a national museum and includes four hectares of gardens, joining together landscape scenes of various national traditions. The museum also includes historic photographs and film. The Musée des Années Trente is a museum of artistic and industrial objects from the 1930s. The public collèges (middle schools) in the commune include Jacqueline-Auriol, Bartholdi, Paul-Landowski, and Jean-Renoir. The public high schools are the Lycée Jacques-Prévert and the Lycée polyvalent Étienne-Jules-Marey. Prior to the September 1968 opening of Prévert, the first high school/sixth-form in Boulogne, an annex of Lycée La Fontaine served the city. The private school Groupe Scolaire Maïmonide Rambam covers maternelle through lycée. There is also the private high school Notre-Dame. The latter's performance and ranking in Boulogne-Billancourt are given by its success of baccalaureate rate in different series. According to the ranking of L'Express in 2015, the national rank of Notre-Dame de Boulogne was 170 out of 2301 and 7 out of 52 at department level. The private schools Dupanloup and Saint-Joseph-du-Parchamp serve maternelle through collège. Private maternelle and élémentaire schools include Saint-Alexandre and Saint-François d’Assise. Jardin de Solférino and La Maison de l'Enfant are private maternelles. The Association Eveil Japon (エベイユ学園 Ebeiyu Gakuen), a supplementary Japanese education program, is located in Boulogne-Billancourt. Hubert Le Blon, (21 March 1874 -2 April 1910), automobilist and pioneer aviator. Matthieu Chedid (born 21 December 1971), composer, singer, guitarist; son of fellow singer and composer Louis Chedid and grandson of writer and poet Andrée Chedid. Thierry Lhermitte (born 24 November 1952), actor, co-writer (usually with the band of the Splendid), director, producer. Nelson Monfort (born 12 March 1954), TV presenter, translator, sports commentator for French public television. Thierry Roland (1934-2012), football specialist, sports journalist, TV commentator and presenter. Alain Sarde (born 28 March 1952), former actor, now writer and producer.